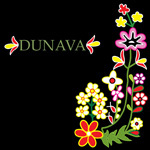 Dunava ("the Danube") is a Seattle-based women's vocal ensemble specializing in the a cappella folk music of the Balkans. Founded in 2005, Dunava is made up of singers from diverse musical backgrounds who all share a passion for the rough and beautiful harmonies of Eastern Europe. Our repertoire includes songs from the cities and villages of Albania, Bosnia, Bulgaria, Croatia, Greece, Macedonia, Russia and Serbia. Dunava is affiliated with the Radost Folk Ensemble, and has performed at Northwest Folklife Festival, with Balkanarama, Dave and the Dalmatians, and at balkanalia!